It’s been an insightful day. My takeaways are from the Scripture verses and from some of Sandra Stanley’s shared thoughts, but not too much from today’s devotional content. This has just been one of those days, but the Scripture still applies to the day. I spent the afternoon and evening serving at church for the visitation of a friend’s husband who passed away suddenly on Monday morning. That friend has been a part of this Comparison Trap group study. Tomorrow is the funeral (on the day you’ll probably be reading this). When I walked her to the restroom today on a break from greeting hundreds upon hundreds of people who had come to pay their respects and to honor her husband, she told me a story about the amazing love she’s seen poured out over her family. Her husband was a state trooper, and the fellowship given to her by his brotherhood has overwhelmed her. Her coworkers took her car and had new brakes, rotors and other needed maintenance done on it when she had to leave it at work after hearing the news of her husband’s death. Her table-mates from the study and many of the women from the group and church stepped forward to bring food and serve in the kitchen with whatever needed to be done today. “Because of the Lord’s great love, we are not consumed, for his compassions never fail,” the verse above reads. The body of Christ has surrounded her through this tragedy, and it’s through His compassion she’s been able to see it in others. “God is compassionate. It breaks his heart to see us struggle,” Sandra tells us in this final devotional. It does, and His way of showing us His compassion is often by using others to display it. The book of Lamentations is full of lamenting, wailing and grief. It covers pain, judgment, mourning and suffering. The book paints a picture of suffering so great that it is often difficult to see hope and to remember the promises of God. But tucked away within the mourning of Lamentations, there are promises of hope to come. Within the heart of the message of this book, we can see that the writer expresses his confident assurance that God does not turn away from those who turn toward Him for help. Tomorrow is the funeral for my friend’s husband. In her grief, I want her to know that the Lord weeps with her, and it breaks His heart to see her struggling. His compassions never do fail, and His love for her will not allow her to be consumed by her grief. His mercies are new every morning, and His faithfulness in her life is truly great. The Lord is her portion, and her faith in Him will get her through the challenges to come. There will be thousands of troopers who will stand in honor of this fallen police officer; there will be hundreds of friends and family members who will come to grieve with her; there are dozens of small group members who are praying for her; but, there is one Christ Jesus who will be there to comfort her and to bring her His hope in the days, weeks, months and years to come. Great is His faithfulness. Friend, you are loved. My youngest son had a baseball scrimmage on Saturday evening. I decided to take along our dog, Maya. She’s a shelter pup we adopted just over two years ago. She’s a shelter pup who, we believe, came from an abusive situation. Maya doesn’t like riding in the car. Maya doesn’t like men wearing hats. Maya doesn’t like little girls. Maya doesn’t like people she doesn’t know. Maya doesn’t like other dogs. Maya doesn’t like paper towel rolls, cords of any kind or objects which look like bats. Taking Maya to baseball activities can – obviously – be a challenge. So why do I take her? I want to help her to overcome some of her fears in a safe way. She is a wonderfully perfect dog for us at home; it’s just when she comes into contact with these things that her nervousness, fearful growling and hesitancies occur. 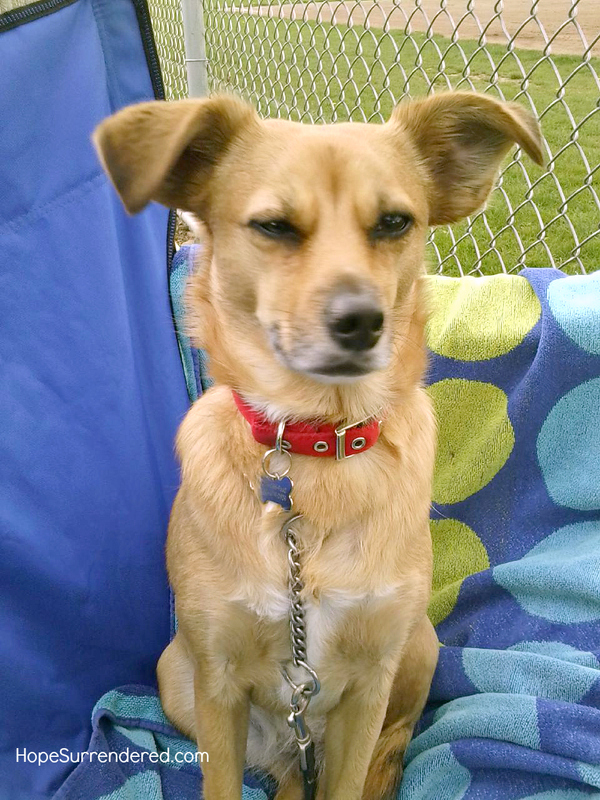 Maya is part German Shepherd and part Chihuahua (…uh-huh…go ahead…you can ponder that one for a bit…). At home, she’s all Shepherd…she smells everything, she’s a fantastic watchdog and alerts us to anything going on in the house, driveway or yard that isn’t in her view of 100% normal, and she’s loving and protective. However, should something outside her view of normal persist, should she encounter one of her fears, or if we take her out of her environment, then the yippy, growling, shaking and fearful Chihuahua comes out in her. I can relate to Maya. I like my home environment. My things are where I want them, my thoughts are where I need them, and my routine is mostly mine. I’m like a Momma Shepherd at home, but I’ll let doubts and hesitancy flare up when I’m away from my comfort zones. I’ve had to deal with new people and new situations a lot over the last few years…many of which I would never have imagined or have chosen. I’m not a hermit by any means, but I can get a little nervous when I’m called to step out of my comfort zone, even if it is in a safe place. Am I up to the task? I cherish when there are others near me who know me and who can help me walk through hesitancies or challenges. Through my own challenges, I’ve found comfort and confidence in a few close friends, but mostly, I’ve found my strength in the Lord. I’ve had to repeatedly tell myself that if He has allowed me to walk through this season of my life, then He will be with me. I’ve found comfort in His Word and in knowing He will be my shield, my strength, my comforter and my defender. He has, and — despite the challenges of life — my joy has overflowed as a result of His presence. That’s what I have to do with Maya. When she’s shaking and staring at me with that “I’m so afraid” look, I need to be a good master by helping her to confidently walk through the hesitancies and by helping her to safely (for her and for others) deal with her fears. and I know I’m safe when He is here and when I can sit at His feet. Where Can I Find Peace? 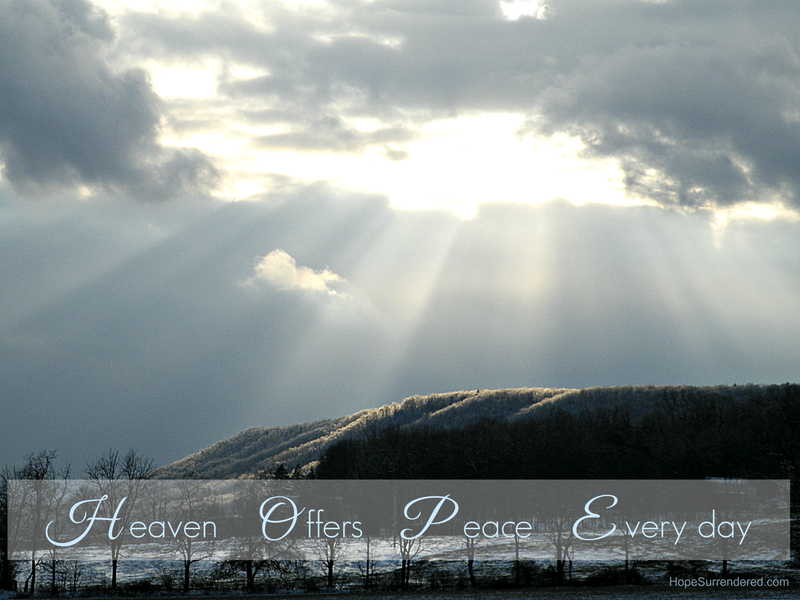 Heaven offers peace every day. He has it for you. With compassion, He meets us at the point of our deepest need to bring us His hope and His peace. We just have to receive it, grab on to it, and move forward in it to experience the richness and comfort He is waiting to provide. Note: If you would like to use the image associated with this post to share with others or to offer encouragement, you are more than welcome to do so. You can copy it or forward it from this website, from my Hope Surrendered Facebook page, from my Google+ page or from my Twitter images. I only ask that you not alter the image in any way so that it continues to be referred back to Hope Surrendered. Thanks so much. I tried something new the other day. I know. It sounds like a meaningless subject to write about, but for me, it isn’t. Although I’ve gotten more adventurous over the years, trying something new and outside of my comfy box is still a challenge for me. I didn’t have the most supportive family life when it came to trying new things. My parents each had their own box of comfortable, and, growing up, I was expected to fit into one of those boxes of comfortable which they maintained. If I wanted to try something outside of their boxes, I was on my own. When I’d succeed, I’d hear little of it; when I failed, I’d hear short quips about not doing well or about how failing would not have happened had I just not tried. The quips weren’t supportive. The quips created a fear of failure in me. So, I grew up with boxes. I grew up with boxes, because I dared not disappoint the people who provided me some semblance of encouragement when I stayed in their comfort zone. 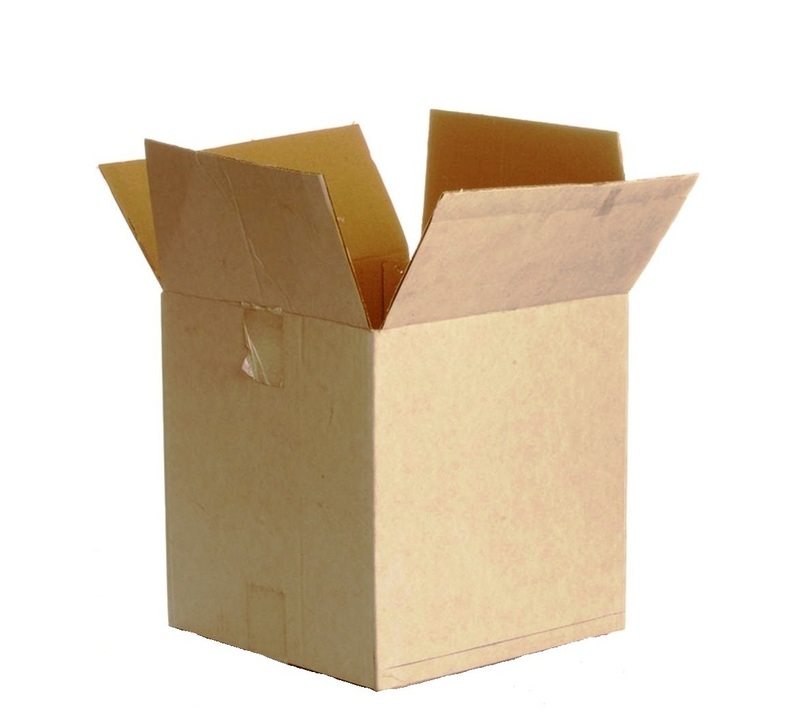 I grew up with boxes, because I dared not disappoint the people who provided me a brief reprimand when I failed at something outside of their comfort zone. I have no memory of my parents ever encouraging me toward a task or activity that was outside of their comfort zone. Failure at an activity or task equaled failure at life — so I perceived. I didn’t want to be a failure, so I stuck with what I was told I was good at doing, I stuck with what was safe, and, for the most part, I stuck with what was in their boxes.. I missed out on so many things I wanted to do or wanted to try because of a fear of failure. As I’ve matured, I’ve recognized how this kind of childhood has impacted me. Trying new activities, trying new hobbies, playing games (I couldn’t chance being the loser), even trying new menu items has created a feeling of discomfort for me. However, I’ve also recognized how trying new things outside of the their-box-had-become-my-box zone has been good and genuinely rewarding for me. You see…I have discovered that I am good at things that have nothing to do with their box. I’ve also discovered that I am good at things outside of my husband’s box (it’s a bigger box, thank goodness!) and my children’s boxes. It’s about time. I’m plenty old enough to have my own box. I’m old enough to take responsibility for my own choices in life, and I’m also old enough to not have to fear blowing the sides out of my box to try new adventures. So, I tried something new the other day. Wow! I did have fun! I wasn’t very good at it at first, but the people I was with found the positive in how I persevered, and they kept encouraging me. By the end of the day, I was pretty good at this new adventure. I had fun blowing out the sides of my box. I had fun failing, struggling, trying again and succeeding. These days, I’m working on not having such a neat and tidy box of comfortable. There are blessings in that ol’ box, but there are adventures and blessings in the opportunities which lie outside of that box, too. I’m slowly learning not to fear failure, for there is a lot to be learned by the experience and the path taken, not just on the outcome and end result. I’m a work in progress — we all are. I am enjoying the adventure!